Mike Kwatinetz is a Founding General Partner at Azure Capital Partners and a Venture Capitalist investing in application software (SaaS), ecommerce, consumer web and infrastructure technology companies. Successful exits include: Bill Me Later, VMware, TripIt and Top Tier. One person’s loss is another’s gain. The market contraction in the last quarter of the year means that most stocks are at much lower prices than they were in Q3 of 2018. The 5 stocks that I’m recommending (and already own) were down considerably from their Q3 2018 highs. While this may be wishful thinking, returning to those highs by the end of 2019 would provide an average gain of 78%. Each of the 5 had revenue growth of 25% or more last year (and 3 were over 35%) and each is poised for another strong year in 2019. For the 4 continued recommendations (all of which I mentioned I would recommend again in my last post), I’ll compare closing price on December 31, 2019 to the close on December 31, 2018 for calculating performance. For the new add to my list, I’ll use the stock price as I write this post. I won’t attempt to predict the overall market again (I’m just not that good at it) but feel that the 14% drop in Q4 means there is a better chance that it won’t take a nosedive. However, since stock picks are always relative to the market, success is based on whether my picks, on average, outperform the market. I’ll start the post with stock picks and then follow with the remaining 5 predictions. In Q3, 2018 the Tesla model 3 was the bestselling car in the U.S. in terms of revenue and 5th highest by volume. This drove a 129% revenue increase versus a year earlier and $1.75 in earnings per share versus a loss of $4.22 in the prior quarter. I expect Q4 revenue to increase sequentially and growth year/year to exceed 100%. In Q3, Tesla reported that nearly half of vehicles traded in for the Model 3 were originally priced below $35,000. As Tesla begins offering sub-$40,000 versions of it, demand should include many buyers from this high-volume price range. Since the backlog for the Model 3 is about 300,000 units I expect 2019 sales to remain supply constrained if Tesla can offer lower price points (it already has announced a $2,000 price reduction). The important caveat to demand is that tax credits will be cut in H1 2019, from $7500 to $3750 and then cut again to $1875 in the second half of the year. Part of Tesla’s rationale for a $2000 price drop is to substantially offset the initial reduction of these tax credits. Tesla began taking orders for its Q1 launch in Europe where demand over time could replicate that in the U.S. The average price of a Model 3 will initially be about $10,000 higher than in the U.S. Tesla is also building a major manufacturing facility in China (where Model 3 prices are currently over $20,000 higher than the U.S.). This Giga-Factory is expected to begin production in the latter half of 2019. While moving production to China for vehicles sold there should eliminate trade war issues, Tesla still expects to begin delivering Model 3s to Chinese customers in March. The combination of a large backlog, reducing prices within the U.S. and launches in Europe and China should generate strong growth in 2019. Some investors fear price reductions might lead to lower gross margins. When I followed PC stocks on Wall Street, this was a constant question. My answer is the same as what proved true there: strong opportunity for continuous cost reduction should enable gross margins to remain in the 20-25% range in any location that is at volume production. So, perhaps the Chinese Giga-Factory and a future European factory will start at lower margins while volume ramps but expect margins in the U.S. (the bulk of revenue in 2019) to remain in the targeted range. Higher prices in Europe and China due to massive initial demand allows premium pricing which may keep margins close to 20%+ in each. Facebook stock will outpace the market (it closed last year at $131/share). Facebook underperformed in 2018, closing the year down 28% despite revenue growth that should be 35% to 40% and EPS tracking to about 36% growth (despite a massive increase in SG&A to spur future results). The stock reacted to the plethora of criticism regarding privacy of user information coupled with the continuing charges of Russian use of Facebook to impact the election. Before the wave of negative publicity, Facebook reached a high of $218/share in July. Facebook is likely to continue to increase its spending to address privacy issues and to burnish its image. However, scaling revenue could mean it keeps operating margins at a comparable level to 2018 rather than increasing them. Rumors of Facebook’s demise seem highly exaggerated! According to a December 2018 JP Morgan survey of U.S. Internet users, the three most used social media products were Facebook (88% of participants), Facebook Messenger (61%) and Instagram (47%). Also, 82% of those surveyed picked a Facebook-owned platform as being the most important to them. Finally, the average Facebook user reported checking Facebook roughly 5 times per day with 56% of users spending 15 minutes to an hour or more on the platform on an average day. While Facebook has experienced a minor decrease in overall usage, Instagram usage has increased dramatically. Facebook, Instagram, and WhatsApp together give the company a growing and dominant position. At the beginning of 2018 Facebook stock was trading at 34 times trailing EPS. By the end of the year the multiple of trailing EPS was below 18. If I assume EPS can grow 20%+ in 2019 (which is below my expectation but higher than the consensus forecast) than a multiple of 20 would put the stock at about $180/share by December 31. If it grew EPS, more in line with revenue and/or returned to a multiple closer to 34 it could reach well over 200. A 20% increase in revenue (I expect the increase to be about 30%) adds over $11 billion in revenue. A comparable 20% increase in SG&A would provide over $4 billion in additional money to spend, affording the company ample dollars to devote to incremental marketing without impacting operating margins. Given the “low” stock price, Facebook increased its buyback program by $9 billion to $15 billion. Since it generates $6B – $7B in cash per quarter from operations (before capex) and has roughly $40 billion in cash and equivalents it could easily increase this further if the stock remains weak. The $15 billion could reduce the share count by as much as 3% in turn increasing EPS by a similar amount. Amazon stock will outpace the market (it closed last year at $1502/share). While its stock dropped from its September high of $2050, Amazon remained one of the best market performers in 2018 closing the year at $1502/share. At its 2018 high of $2050, It may have gotten ahead of itself, but at year end it was up less than 2018 revenue growth. Leveraging increased scale meant net income grew faster than revenue and is likely to triple from 2017. Growth will be lower in Q4 then Q3 as Q4 2017 was the first quarter that included all revenue from Whole Foods. Still, I would not be surprised if Amazon beat expectations in Q4 since this is already factored into analyst forecasts. Amazon trades on revenue coupled with the prospect of increasingly mining the revenue into higher profits. But the company will always prioritize making long term investments over maximizing near term earnings. Growth in the core ecommerce business is likely to gradually slow, but Amazon has created numerous revenue streams like its cloud and echo/Alexa businesses that I expect to result in maintaining revenue growth in the 20% plus range in 2019. The prospect of competing with an efficient new brick and mortar offering (see prediction 6 in this post) could drive new excitement around the stock. Profitability in 2019 could be reduced by: announced salary increases to low end workers; increasing the number of physical store locations; and greater marketing incentives for customers. Offsets to this include higher growth in stronger margin businesses like AWS and subscription services. The stock may gyrate a bit, but I expect it to continue to outperform. Stitch Fix stock will outpace the market (it closed last year at $17/share). In my 2018 forecast I called this my riskiest pick and it was the most volatile which is saying a lot given the turbulence experience by Facebook, Tesla, and Amazon. I was feeling pretty smug when the stock reached a high of $52/share in September! I’m not sure how much of the subsequent drop was due to VCs and other early investors reducing their positions but this can have an impact on newly minted public companies. Whatever the case, the stock dropped from September’s high to a low point of $17.09 by year’s end. The drop was despite the company doing a good job balancing growth and profitability with October quarter revenue up 24% and earnings at $10.7 million up from $1.3 million in the prior year. Both beat analyst expectations. The stock was impacted because the number of users grew 22% (1-2% less than expected) despite revenue exceeding expectations at 24% growth. I’m not sure why this was an issue. Stitch Fix continues to add higher-end brands and to increase its reach into men, plus sizes and kids. Its algorithms to personalize each box of clothes it ships keeps improving. Therefore, the company can spend less on acquiring new customers as it has increased its ability to get existing customers to spend more and come back more often. I believe the company can grow by roughly 20% or more in 2019. If it does and achieves anything close to the revenue multiple that it started with in 2018 (before the multiple doubled in mid-year), there would be a sizeable stock gain this year. But it is a thinly traded stock and likely to be quite volatile. Docusign Stock will outpace the market in 2019 (it is currently at $43/share). A high value for a reasonable price – I am increasingly annoyed when I need to deal with manual signatures for documents. International expansion remains a large opportunity as international is only 18% of revenue. I developed my primary method of stock picking at my first Wall Street firm, Stanford Bernstein. The head of research there, Chuck Cahn, emphasized that you could get small wins by correctly determining that a stock would trade up on certain news like a new product, a big customer win, and beating consensus forecasts. But larger and more predictable wins of 5X or more were possible if one identified a long-term winner riding a major trend and stuck with it for multiple years. All 5 of my stock picks fall into the latter category. I’ve been recommending Facebook, Tesla, and Amazon for 4 years or more. All 3 are now over 5X from when I first targeted them as I bought Tesla at $46 and Facebook at $24 in 2013 (before this blog) and they have been in my top 10 since. Amazon was first included in 2015 when it was at $288/share. Stitch Fix and DocuSign are riskier but if successful have substantial upside since both are early in their run of leveraging their key trends. The next 4 picks are in early stages of trends that could lead to current and next generation companies experiencing benefits for many years. The first two go hand in hand as each describes transformation of physical retail/restaurants, namely, replacing staff with technology in a way that improves the customer experience. This is possible because we are getting closer to the tipping point where the front-end investment in technology can have a solid ROI from subsequent cost savings. In October 2015 I predicted that Amazon (and others like Warby Parker) would move into physical retail between then and 2020. This has occurred with Amazon first opening bookstores and then buying Whole Foods, and Warby Parker expanding its number of physical locations to about 100 by the end of 2018. My reasoning then was simple: over 92% of purchases in the U.S. were made offline. Since Amazon had substantial share of e-commerce it would begin to have its growth limited if it didn’t create an off-line presence. Now, for Amazon to maintain a 20% or greater revenue growth rate it’s even more important for it to increase its attack on offline commerce (now about 90% of U.S. retail) I’m not saying it won’t continue to try to increase its 50% share of online but at its current size offline offers a greater opportunity for growth. A key to Amazon’s success has been its ability to attack new markets in ways that give it a competitive advantage. Examples of this are numerous but three of the most striking are Amazon Cloud Services (where it is the industry leader), the Kindle (allowing it to own 70% share of eBook sales) and Prime (converting millions of customers to a subscription which in turn incentivized buying more from Amazon due to free shipping). Now the company is testing an effort to transform brick and mortar retail by replacing staff with technology and in doing so improving the buying experience. The format is called Go stores and there are currently 5 test locations. Downloading the Amazon Go App enables the user to use it to open the automated doors. The store is stocked (I think by actual people) with many of the same categories of products as a 7-Eleven, in a more modern way. Food items include La Boulangerie pastries, sushi, salads, an assortment of sandwiches and even meal kits. Like a 7-Eleven, it also has convenience items like cold medicine, aspirins, etc. The store uses cameras and sensors to track your movements, items you remove from the shelves and even whether you put an item back. When you leave, the app provides you with a digital receipt. Not only does the removal of cashiers save Amazon money but the system improves customer service by eliminating any need to wait in line. I expect Amazon to open thousands of these stores over the next 3-5 years as it perfects the concept. In the future I believe it will have locations that offer different types of inventory. While Amazon may be an early experimenter here, there is opportunity for others to offer similar locations relying on third party technology. Robotic coffee bars: CafeX opened in San Francisco last year, and in them one orders drip coffee, cappuccino, latte, or hot chocolate using an app on your phone or an iPad available at a kiosk. The coffee is made and served by a robot “barista” with the charge automatically put on your credit card. Ordering, billing, and preparation are automatic, but there is still one staff member in the shop to make sure things go smoothly. The first robotic burger restaurant: Creator opened in San Francisco last June. It was in beta mode through September before opening to the general public. While a “robot” makes the burgers, Creator is not as automated as CafeX as humans prepare the sauces and prep the items that go into the machine. Creator also hasn’t automated ordering/payment. Startup Momentum Machines expects to open a robotic burger restaurant and has gotten substantial backing from well-known VCs. Robots replacing waitstaff: For example, at Robo Sushi in Toronto, a “Butlertron” escorts you to your table, you order via an iPad and a second robot delivers your meal. Unlike the robots in the coffee bar and burger restaurant these are made into cute characters rather than a machine. Several Japanese companies are investing in robotic machines that make several of the items offered at a sushi restaurant. Robotic Pizza restaurants: The furthest along in automation is the Pizza industry. Zume Pizza, a startup that uses robots to make pizzas, has recently received a $375 million investment from Softbank. 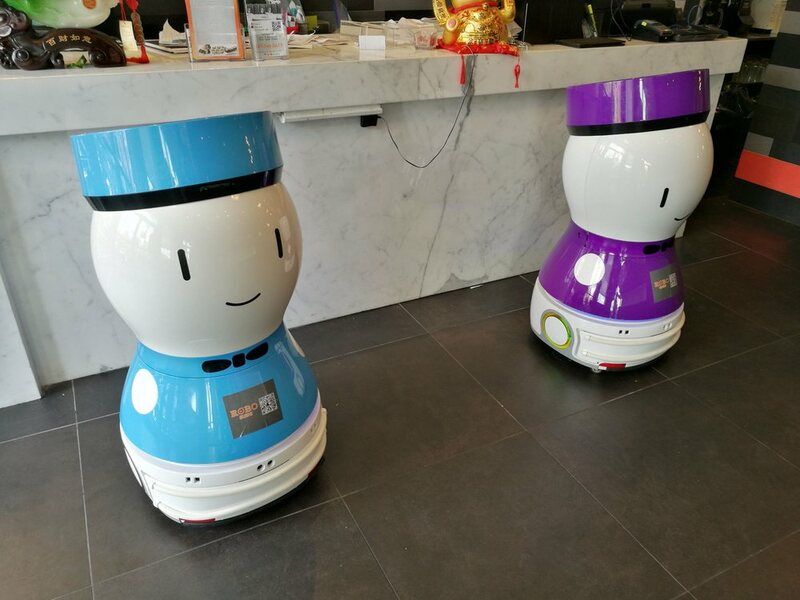 Zume currently uses a mix of humans and robots to create and deliver their pizzas and is operational in the Bay Area. Pizza Hut and Dominos are working on drones and/or self-driving vehicles to deliver pizzas. And Little Caesars was just issued a patent for a robotic arm and other automated mechanisms used to create a pizza. At CES, a robot that makes breads was announced. What all these have in common is replacing low end high turnover employees with technology for repetitive tasks. The cost of labor continues to rise while the cost of technology shrinks a la Moore’s Law. It is just a matter of time before these early experiments turn into a flood of change. I expect many of these experiments will turn into “proof points” in 2019. Successful experiments will generate substantial adoption in subsequent years. Opportunities exist to invest in both suppliers and users of many robotic technologies. Companies have long employed Influencers as spokespersons for products and in some cases even as brands (a la Michael Jordon and Stephan Curry basketball shoes or George Forman Grills). They appear on TV ads for products and sometimes used their social reach to tout them. Blogger, a prior Azure investment, understood how to use popular bloggers in advertising campaigns. But Blogger ads, like most TV ads did not directly offer the products to potential customers. Now we are on the verge of two major changes: tech players creating structured ways to enable fans of major influencers (with millions of followers) to use one-click to directly buy products; and technology companies that can economically harness the cumulative power of hundreds of micro-influencers (tens of thousands of fans) to replicate the reach of a major influencer. I expect to see strong growth in this method of Social Commerce this year. In my last post I said about the Cannabis Sector: “The industry remains at a very early stage, but numerous companies are now public, and the recent market correction has the shares of most of these at more reasonable levels. While I urge great care in stock selection, it appears that the industry has emerged as one to consider investing in.” Earlier in this post, I mentioned that riding a multi-year wave with a winning company in that segment is a way to have strong returns. I’m not knowledgeable enough regarding public Cannabis companies, so I haven’t included any among my stock recommendations. However, I expect industry wide revenue to grow exponentially. The 12 largest public Cannabis companies by descending market cap are: Canopy Growth Corp (the largest at over $11B), Tilray, Aurora Cannabis, GW Pharmaceuticals, Curealeaf Holdings, Aphria, Green Thumb Industries, Cronos Group, Medmen Enterprises, Acreage Holdings, Charlotte’s Web Holdings and Trulieve Cannabis. I believe one or more of these will deliver major returns over the next 5 years. Last year I felt we would see good fundamentals from the industry but that stocks were inflated. Given that the North American Cannabis Index opened this year at 208 well down from its 2018 high of 386 investing now seems timely. I’ll use this index as the measure of performance of this pick. Many Unicorns went public in 2018, but this year is poised to be considerably larger and could drive the largest IPO market fund raising in at least 5 years. Disbelievers will say: “the market is way down so companies should wait longer.” The reality is the Nasdaq is off from its all-time high in August by about 15% but is higher than its highest level at any time before 2018. Investment funds are looking for new high growth companies to invest in. It appears very likely that as many as 5 mega-players will go public this year if the market doesn’t trade off from here. Each of them is a huge brand that should have very strong individual support. Institutional investors may not be as optimistic if they are priced too high due to the prices private investors have previously paid. They are: Uber, Lyft, Airbnb, Pinterest, and Slack. Each is one of the dominant participants in a major wave, foreshadowing substantial future revenue growth. Because information has been relatively private, I have less knowledge of their business models so can’t comment on whether I would be a buyer. Assuming several of these have successful IPOs many of the other 300 or so Unicorns may rush to follow. It will be an interesting year! In our previous post we posed the potential for Stephen Curry to become a Unicorn (in venture this is a company that reaches $1 billion in value). While it was mostly for fun, on reflection we decided that it actually could prove valid. This post will walk you through why an athlete like Curry (or potentially James Harden, Russell Westbrook or Anthony Davis) could become a Unicorn should they be elevated to the elite status of a LeBron James. In April 2014, Vernon Davis offered stock in his future earnings via a venture with Fantex, Inc. as part of a new financial instrument being sold by Fantex. Davis offered a 10% share of all future earnings from his brand marketing company to Fantex, which would then turn around and divide it into shares of a tracking stock that can be traded within their own exchange. The offering was 421,100 shares, valued at $10 each, for a total of $4.2 million. This implied a total value of the “Vernon Davis Corporation” of $42 million. Davis’ current salary is $4.7 million and endorsement income about $1.75 million for a total income of $6.5 million. Given that the longevity of football players is rarely into their mid-thirties coupled with Davis being over 30 at the time, it seems likely that he had no more than 3-4 years left in his playing career. Putting those facts together makes it appear that Davis was unlikely to earn much more than $42 million going forward and might earn less as we would expect his income to drop precipitously once he retired. So buying the stock was probably viewed as more of a symbol of support for Davis and its “market cap” appears about equal to his expected future earnings. Curry’s salary will go from a current level of $11 million in 2015 and 12 million in 2016 (4 other Warriors will be paid more that year) to about $30 million in 2017 assuming the top salaries tend to be about 1/3 of their team’s cap as they are today. It will be up to $40 million in 2025, or less than 1/3 the projected $140 million cap. He will continue to earn endorsement income (but will retire from playing) subsequent to the 2025 season. The level post 2025 will average $60 million per year for 10 years and then go to zero. The last assumption is based on observing the income of retired stars like Michael Jordan (earning $100 million/year 12 years after retirement), David Beckham (earned about $75 million the first year after retiring), Arnold Palmer (earned $42 million/year 40 years after winning his last tournament), Shaq ($21 million), Magic Johnson is now worth over $500 million. Each are making more now than the total they made while playing and, in several cases, more per year than in their entire playing careers. So assuming Curry’s income will drop by 1/3 after retirement is consistent with these top earners. This puts his total income from 2016 through the end of 2035 at over $1.5 billion. All of the above assumptions can prove true if Curry continues to ascend to super-star status, which would be helped if the Warriors win the championship this year. They could even prove low if Curry played longer and/or remained an icon for longer than 10 years after retiring. Thankfully, Curry has remained relatively injury free and our analysis assumes that he remains healthy. Curry is not only one of the most exciting players to watch, but is also becoming the most popular player with fans around the league. Curry now ranks second overall in total uniform sales, behind LeBron James. So while the concept of Stephen Curry as a Unicorn (reaching $1 billion in value) started as a fun one to contemplate with our last post, further analysis reveals that it is actually possible that Fantex or some other entity could create a tracking stock that might reach that type of valuation. As a VC, I would love to invest in him! In the recent game against the Blazers there was further validation of Curry’s MVP bid. Curry delivered eight 3-pointers, hit 17 of 23 shots and went 7-of-7 in his 19-point fourth quarter. His last two threes were a combined distance of 55 feet, setting a new record for threes in a season and breaking his own record! To understand just how well Curry shot, his Field Goal Efficiency was 91% (he had 8 threes bringing his equivalent field goals to 21/23). Not only was this higher than anyone who scored 40 points this year or took at least 20 shots in a game, we believe it may be among the highest ever for someone taking 20 shots in a game. As a comparison, the two Portland stars, Aldredge and Lillian, each had strong games and scored 27 and 20 points, respectively. But, to do that, they took 46 shots between them (double that of Curry) and only scored 2 more points in total for the extra 23 shots! The 4th quarter performance by Curry, cited above, translates to a 114% FGE rating, which is averaging more than 100% shooting as he scored 16 points on 7 shots. When foul shots are taken into account, his True Shooting % was 137% as he scored 19 points on 8 field goal attempts (counting the one on which he was fouled).To draw a comparison, when Russell Westbrook scored 54 points against Portland on April 12 he took 43 shots, 20 more than Curry (23 more if we include shots that led to foul shots). 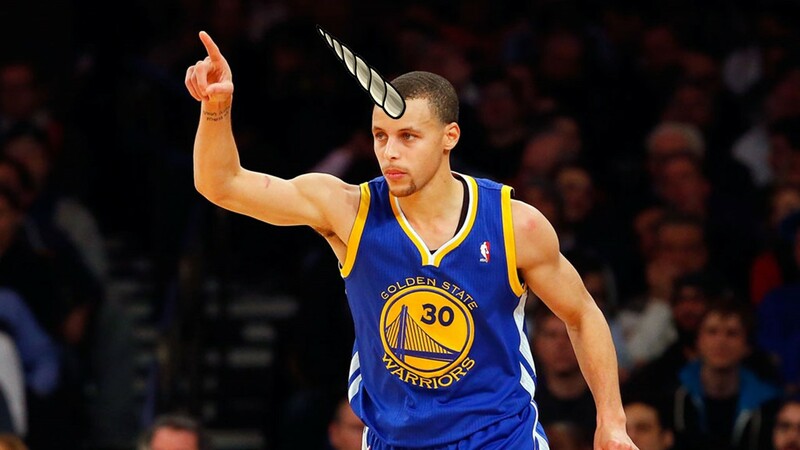 Is Stephen Curry Becoming a Unicorn? Much has been written about the importance of discovering and investing early in “Unicorns”, companies that eventually cross the $1 billion valuation threshold. In basketball, teams make tough decisions as to whether to sign individual players to contracts that can be worth as much as $120 million or more over six years. The top few players can earn a billion dollars over their career when endorsements are added to the equation, assuming they can last as long as a Kobe Bryant or Tim Duncan. Clearly part of the road to riches is getting the recognition as one of the elite. This year, several players previously thought of as “quite good” are emerging in the quest to be thought of as “great”. Nothing can help a player put his stamp on such a claim as much as winning the MVP. In the spirit of trying to identify a future “Unicorn” in professional basketball, I thought it would be fun to analyze the current crop of contenders. Given an unusual emergence of multiple stars, this year’s NBA MVP race is one of the most hotly contested in years. There are five legitimate candidates: Stephen Curry, Russell Westbrook, James Harden, Anthony Davis and LeBron James. All of them are having spectacular seasons and in most years that would be good enough for them to win. But only one can take the MVP crown. LeBron is the reigning king of the league and has long ago hoisted his flag atop the mountain. But, he has won the MVP title a number of times and while he remains a solid choice, he is not a clear choice. Therefore, it appears almost certain that most voters will favor a candidate who has yet to win. In the last few weeks Davis seems to have faded from consideration so, in this post, I will provide the analysis that has led me to determine that Curry is a more worthy recipient than Westbrook and Harden. Basketball columnists and analysts often focus too much of their evaluation of success on a player’s scoring average. In an attempt to help understand a player’s full value, John Hollinger created a Player Efficiency Rating (PER) that incorporates several statistics in the hope it provides a single rating that determines the best player. While it is a truly worthy effort, we feel there is quite a bit of judgement incorporated in what value to place on different statistics. For example, it rewards players who take more shots even when the extra shots are 2-pointers at a low field goal percentage (taking extra 2-point shots at over a 31% increases the rating even though that is well below what the rest of his team would likely shoot). We would place more value on giving the ball up (and having a lower scoring average) than taking a low percentage shot. Harden and Westbrook are neck-and-neck in scoring average, each about four points per game higher than Curry. But Curry plays fewer minutes per game and takes fewer shots. His shooting efficiency at 58.6% is by far the highest of the three by a significant amount (a full 14% higher than Westbrook and 7% higher than Harden). It is also the highest in the league for players that have taken at least 8 shots per game (which includes all of the top 100 players by scoring average). At over 90%, Curry is the number one foul shooter in the league. But Harden and Westbrook are also hitting roughly 85% of their foul shots. Therefore, the fact that they get fouled much more than Curry brings each of their TS%s closer to Curry’s. Still, Curry is a whopping 10% higher than Westbrook and 2.5% higher than Harden. It is apparent that the scoring average advantage is more a function of Curry playing fewer minutes and being more selective in his shots. So, even if he played the same amount of time as Harden and Westbrook, Curry would trail in average points per game, primarily because he still would take fewer shots. But if he took the same number of equivalent shots he’d have a higher scoring average than both. For steals, Westbrook and Curry are close to dead even with Harden about 11% behind. However, Westbrook is the clear leader in rebounds and has 7% more assists than Curry with both well ahead of Harden. Harden and Westbrook are 25%-40% behind Curry in all of these categories. What the first ratio tells us is that Curry passes the ball more accurately and/or takes less risk so that he gets his assists without turning the ball over as frequently as the others. Another way of looking at it is that the extra 0.6 assists that Westbrook averages per 36 minutes comes at the expense of one extra turnover vs Curry. The steal/turnover ratio tells us that for every 3 turnovers Curry has, he is able to get the ball back twice through steals. The others recover less than half of their turnovers through steals. Finally the steals/personal foul ratio shows that Curry is quite effective defensively with a ratio that is over 30% better than either of the others. A natural question is whether this superior offensive performance comes at the expense of inferior defense. So we should include the average points given up per game by each team to round out the picture. Notice the Warriors allow fewer points per game than the league average while both the Thunder and the Rockets allow more than the league average. The combination for the Warriors means that they have the highest plus/minus in the league by quite a bit (the Warrior’s 10.4 is 60% higher than the Clippers who are second at 6.5), and it is nearly double the sum of the plus/minus for the Rockets and Thunder combined. The league also maintains plus/minus differential by player. That is how many more points a team scores than opponents when that player is on the floor. In all three cases, it seems clear the players are driving the team’s effectiveness as their differential exceeds that of the teams (meaning that without them on the floor, the other team, on average, outscores their team). This statistic takes offense and defense into account and helps measure the influence a player has on his team’s effectiveness. This means that Curry is responsible for a 12.0-point improvement in plus/minus when on the floor versus how the team does when he isn’t, while both Westbrook and Harden improve their team’s plus/minus by 5.0 points. Given his top score in plus/minus, much higher Field Goal Effectiveness and TS%, combined with driving the Warriors to the top record in the league, it seems that Curry should be the league MVP and is on his way to becoming a Unicorn. As a VC, I would love to invest in him! There were 3 from football (all quarterbacks) and 2 each from baseball, tennis and soccer. And one each from 6 other sports (hockey, boxing, golf, swimming, track and cycling). The four emerging stars (this includes Anthony Davis) we have discussed all have the potential to be on a future such list but their status among the greatest will also be dependent on their ability to win multiple championships. Winning MVPs makes a player great, winning multiple championships makes them one of the greatest. Last night’s game against the Blazers was further validation’s of Curry’s MVP bid. Curry delivered eight 3-pointers, hit 17 of 23 shots and went 7-of-7 in his 19-point fourth quarter. His last two threes were a combined distance of 55 feet, setting a new record for threes in season and breaking his own record!